There is nothing quite like the calming effect of a scenic waterfall or pond. 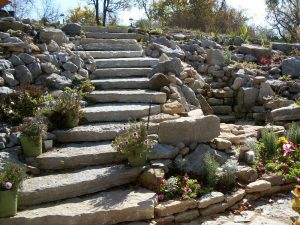 Whether you are looking to add outdoor water features such as a fountain, large-scale outdoor pond, or dry creek bed for drainage, Dean’s Landscaping can help with designing and installing a scenic retreat for your home or business. From low maintenance pondless water features to full scale ponds with koi and ornamental aquatic plants, our experienced staff can design and install your water feature. Let’s get started on your water feature project.